These things aren’t “new,” as such. But maybe they’re new to you. And if they are, they shouldn’t be. And if you read to the end, they won’t be. First, you need to check out this blog: ifwewilllive.com. “Do you want to solidify your understanding of the Bible? Grow in godly influence and impact as you build God’s Kingdom? and that compels you to keep your Bible open. progress charts for children, an app. And last, an art shop called Par La Grace. And it includes these fantastic little things called Faith Building Blocks. Learn more in this mini interview with Jessica, Par la Grace creator and designer. 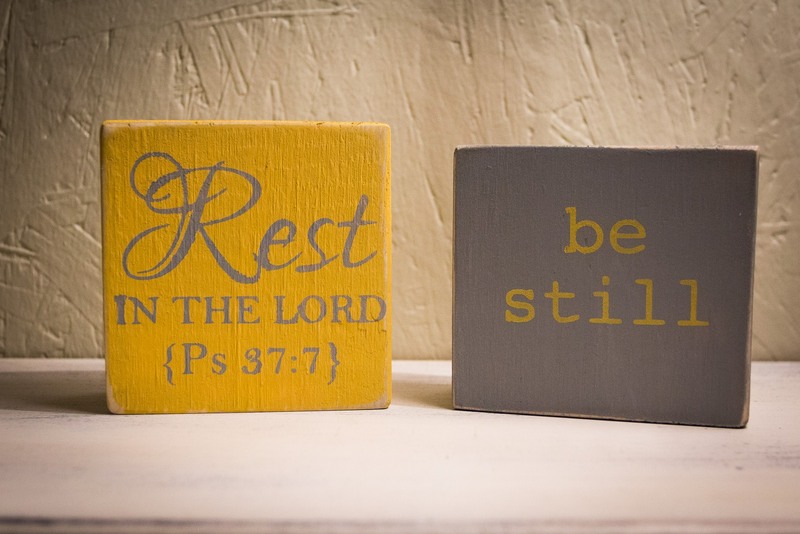 Tell us about your shop and why you chose to include scripture in your artwork. I chose the name “Par la Grace” (which is French for “by grace”) because it is by God’s grace that I am what I am. When I was younger, I remember my Aunt Trudy telling me about having a scripture sign on her wall. She read it every time she dusted. Although she never intentionally memorized it, it was little by little being ingrained in her memory. Later, when she was battling cancer, the Lord used that scripture to bring her comfort and encouragement. 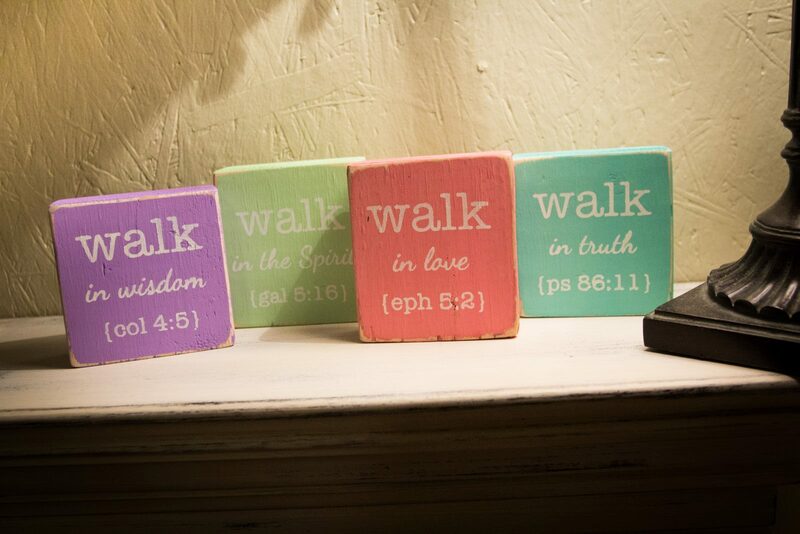 The purpose of my shop is to provide home decor that serves as a reminder of God’s presence and grace in our lives. How did you come up with the idea of Faith Building Blocks, and what was your intention behind those? Christians to grow in faith. What is one way that the Word of God has brought strength or solace to your life? During one particularly trying time in my life, I was challenged to pray and to get into God’s Word to find help to overcome the spiritual battle that was raging in my life. My mom encouraged me to read the Psalms and write down, in a journal, everything that God is to us. As I read, I began to understand God as I never had before. In Psalm 1, I learned that the Lord knows the way of the righteous. Psalm 2 taught me that the Lord is to be trusted. Psalm 3 describes Him as my shield, my glory, the lifter up of my head, my sustainer. I found comfort in the truth that He hears my cry. As I read, I was amazed at how God worked in me to calm my spirit and give me joy and strength to overcome! As I allowed God to take over my battles and minister to my heart, it was as if I had become a different person. Jessica has kindly offered a special discount to you, my readers! Purchase $20 or more and receive 10% off using the code JOTW10. I’ve heard about the fighter verses and have meant to look into it. Sounds like a great program. Great resources! Thanks for sharing them with us. There are plenty more at https://journeyoftheword.com/for-the-road/!! Love the little faith blocks!! Visiting from Grace & Truth. Love these resources. I will check out the memory verse program. Thanks for linking up with the #LMMLinkup this week.